70% of companies in the yachting sector describe themselves as leading according to a study performed by Yacht Harbour on a sample of over 100 companies. It can therefore be hard for customers to differentiate at first glance the real financial position of companies and their scale. Following a very active past 20 years in the mergers and acquisitions space in the yachting industry, some behemoths have emerged, controlling a large portion of the market and shaping the industry moving forward. Some high-profile individuals and corporations have also become involved in the superyacht industry in recent years. We have therefore investigated some of the most powerful corporations and individuals in the yachting space. Largest commercial real estate operator in China and world's largest cinema chain operator, Wanda Group was founded in 1988 by Wang Jianlin. The company has today 634 billion yuans in assets and manages over 26 million square meters of hotel property. In 2013, the company decided to purchase UK-based yacht manufacturer, Sunseeker. 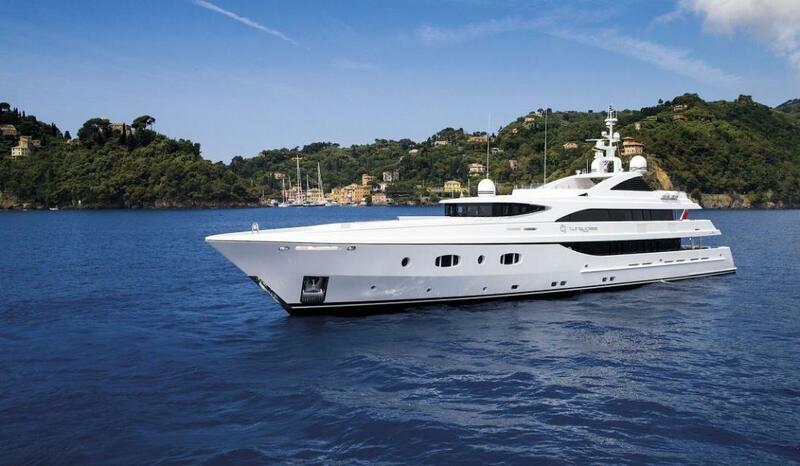 Having gone through losses of 9 million pounds in 2009, Sunseeker restructured its debt and was taken over by FL Partners, an Irish private equity company. Sunseeker was sold in 2013 to the Wanda Group for around 300 million pounds according to the Financial Times. Moet Hennessy Louis Vuitton, better known as the French luxury goods conglomerate, LVMH, is perhaps not so surprisingly also a player in the superyacht industry. In 2008, L Capital, the company's investment arm, purchased Princess Yachts in a deal worth 200 million pounds according to Reuters, with support from the Calyon investment bank. Later that year, the conglomerate strengthened their position in the company with the purchase of Royal Van Lent, part of the Feadship organization, for a reported sum between 200-400 million euros. In 2007, Royal Van Lent had posted sales of 100 million euros. Gruppo Gavio, a large Italian corporation whose main business lies in motorway concessions with the company operating over 1400 kilometers of motorways in Italy, also has interests in the yachting industry. 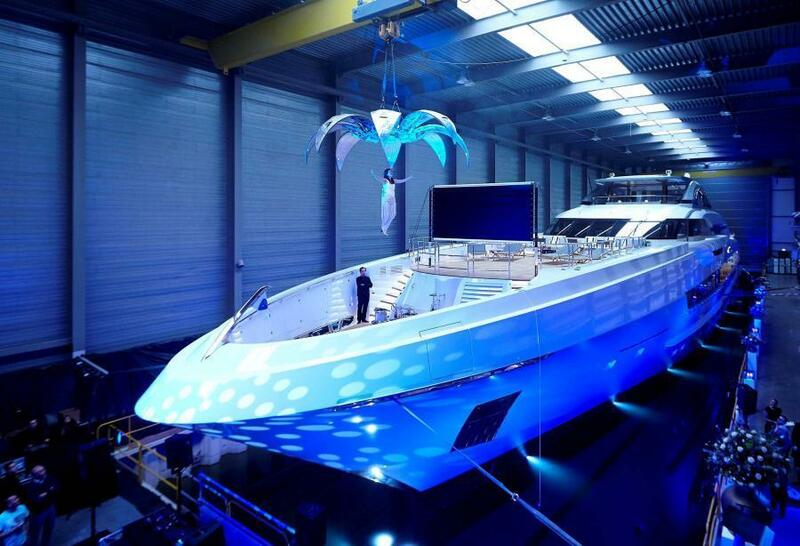 In 2012, Bejamino Gavio led an acquisition of the iconic Italian Baglietto shipyard for a sum of €18.5 million. The shipyard had been through some rough waters during the financial crisis resulting in 73 million euros of negative equity in 2009. The group further consolidated its position in the sector by purchasing Cerri Cantieri Navali, a few months before the Baglietto deal, and by later acquiring US-based Bertram in 2015. Privinvest Group is one of Europe's largest maritime corporations which is involved in naval manufacturing and is also involved in the superyacht industry. Founded by the Safa brothers, Privinvest purchased Constructions mécaniques de Normandie (CMN) based in Cherbourg, France in 1992. The company then managed to turn around the fledging shipyard with new orders from the Middle East according to the Independent. In 2007, the group funded 30% of the Abu Dhabi MAR company which ventured into shipbuilding through ADMShipyards and worked on the 141-meter Yas. In 2009, Privinvest continued to consolidate its position in the sector by acquiring German shipyard Nobiskrug. Azimut was established in the early 1970s by Paolo Vitelli as a dealership of Amerglass boats. The company then evolved into yacht manufacturing by building its first 43ft boat. It later delivered Failaka, the first 30-metre fibreglass yacht ever built, to a Kuwaiti prince. In 1985, Azimut took over the Fratelli Benetti boatyard in Viareggio, setting the roots for the group. The company later started collaborating with young designer, Stefano Righini, which would bring the Azimut lines the company is known for today. The company acquired the Gobbi shipyard in 2001 which now produced the group's Atlantis range from 10m to 18m. In 2004, the group acquired Fraser Yachts, a large yacht brokerage company. It later developed Marina di Varazze and the Royal Yacht Club in Moscow. By 2011, the group's net assets grew to €300 million according to this presentation with a turnover of €600 million, a significant cut on its €1 billion turnover in 2008 according to the Financial Times. Ferretti was established in 1968 as the first marine division of Alessandro and Norberto Ferretti's family business. In 1971, the company delivered its first wooden motor-sailer and by 1982 it began producing boats for sport fishing with a flybridge. By 1996, the group decided to expand into a larger range and set up Custom Line, a division meant to operate in the growing 26-40m range. In following years, the company multiplied acquisitions buying CNA in 1998, CRN in 1999, Riva in 2000, Mochi Craft in 2001 and Itama in 2004. As the company was preparing for an initial public offering (IPO) after having been acquired in a leveraged buyout by Candover Investments which put the Group's value at €1.5 billion in 2007, the financial crisis led to a significant drop in sales. As a result, the Group had to restructure debt and its creditors, led by the Royal Bank of Scotland, converted a portion of their €1.2 billion debt into equity according to Bloomberg. Mr. Vagit Alekperov is currently considered to be Russia's 9th richest man according to Forbes. In May 2015 it became known that the head of Lukoil, Russia's largest independent oil company, is the current owner of Heesen. In 2008, Mr. Alekperov purchased Heesen Yachts from founder, Frans Heesen, for a reported sum of 100 million euros. The shipyard posted profits of €5.2 million in 2013 according to Forbes Russia. In March 2016, Heesen launched its newest flagship, the 70m Galactica Super Nova (Project Kometa) which was built for Mr. Alekperov according to Dutch publication, Quote. Energy tycoon, Mohammed al-Barwani made his wealth investing in oil, gas, minerals and manufacturing. In 2010 he however decided to purchase Dutch shipyard, Oceanco from Greek shipping magnate, Theodore Angelopoulos. First company to build spa pools on superyachts, Oceanco has much benefited from the hands-on approach of Al Barnawi delivering the beautiful Nirvana for Russian billionaire Potanin as well as expanding its facility to be able to construct yachts up to 160 meters. In December 2013, al-Barwani further consolidated his position in the industry, purchasing Turkish yacht manufacturer, Proteksan (now Turquoise Yachts), which was struggling following the highly publicized sinkage of M/Y Yogi.